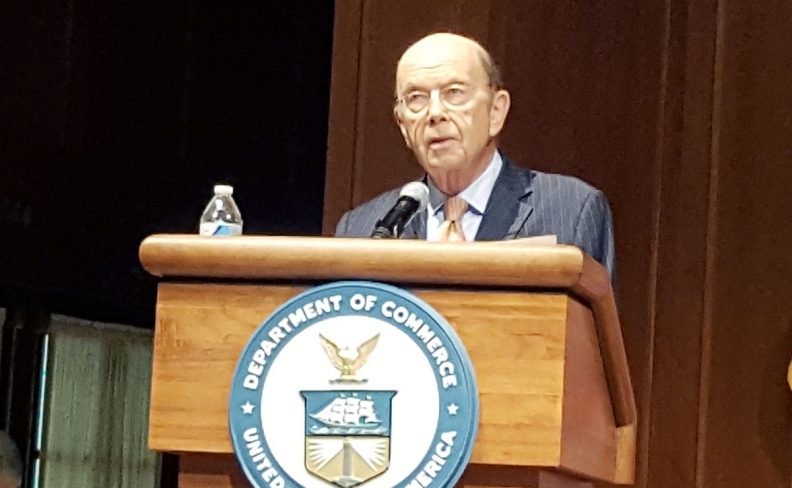 Wilbur Ross says it's unclear whether Canada and Mexico, the other NAFTA countries, would accept the "sunset clause" proposal. WASHINGTON — The United States is seeking to insert a so-called sunset clause into a new NAFTA, a controversial proposal that would automatically terminate the agreement after five years unless all three member countries agree to extend it. That idea has been quietly floated for months by U.S. officials who finally made it public Thursday. Canadian and Mexican officials brushed it off almost as soon as it was publicly revealed, calling it a bad idea that would create economic instability and scare businesses away from long-term investments. The priority was announced by Donald Trump's commerce secretary, Wilbur Ross. He confirmed the U.S. will seek some automatic-termination clause to ensure the agreement can be constantly re-evaluated and improved. "The five-year thing is a real thing that would force a systematic re-examination," Ross told a forum organized by the website Politico. "You'd have a forum for trying to fix things." Ross said U.S. trade czar Robert Lighthizer, who is leading the NAFTA talks for his country, agrees with him that it's a good idea. But Ross conceded it's unclear the other NAFTAcountries will ever accept it. He reiterated his goal of reaching a deal by the end of the year. Afterwards, he said, it will become harder to nail down a deal in 2018 as Mexico and the U.S. have national elections, the U.S. fast-track law is up for renewal and Canada has provincial elections. If there's no deal, he said the president is serious that he might terminate NAFTA. "It's a very real thing," Ross said of the president's threat. "But it is not the preferred option." The idea of an automatic sunset appears to be a non-starter. Shortly after Ross left the stage, the U.S. ambassadors of Canada and Mexico appeared for a panel discussion. Both strongly rejected the idea,and said the U.S. business community would never accept it either. Canada's David MacNaughton told reporters he's been hearing this idea for months in closed-door chats. He said he's never understood the logic behind it, since NAFTA already has a clause allowing any country to withdraw if it really wants to. But an automatic-sunset clause is designed for something you intend to end, like a law designed to expire, MacNaughton said. That's the opposite of a trade agreement — whose inherent goal, he said, is to project long-term predictability. "One of reasons you do (a trade agreement) is to create an environment within which business can make investments. (In) many of those investments people will look to 20 years', 25 years' payback," MacNaughton said. "If you have to do it every five years, the pricing of political risk is very high." He illustrated his point with a more homespun metaphor: "If every marriage had a five-year sunset clause on it, I think our divorce rate would be a heck of a lot higher than it is." "Our views exactly," said Geronimo Gutierrez. "It would probably have very detrimental consequences for the business community of the United States, Mexico and Canada... Certainty is the key word here."